A Extreme Sailing tagged image from photographer – The British Library as published on Flickr. View this map on the BL Georeferencer service. Title: "The British and Foreign Coaster’s Guide; containing complete sailing directions for the east coasts of England and Scotland, the Orkney and Shetland Islands, the coasts of France, Holland, and Jutland to the Scaw Point; those of Norway and the White Sea, and the Cattegat, Baltic and Gulf of Finland, the English and St. George’s Channels, and the whole coast round Ireland, etc. 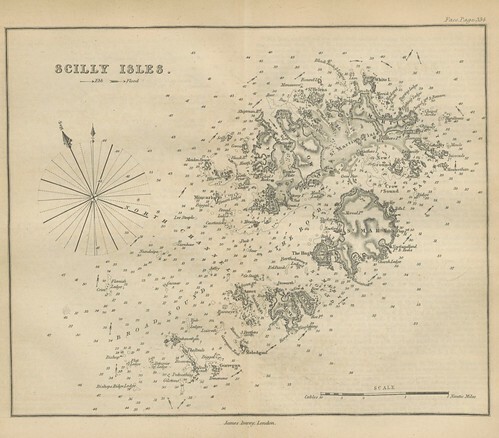 (Sailing directions for the Bristol and St. George’s Channels .. Sixth edition.)" Shelfmark: "British Library HMNTS 10496.cc.1."